Chinese settlers were the first to bring card games to New Zealand, and while Australia banned many forms of gambling in the 1800s, gamblers traveled to New Zealand to wager as they wished. The game of poker has been around the island as long as it has been existent in the United States. Word has it that the Americans, who arrived more than a hundred years ago, are the source of poker knowledge when they brought the game with them during their search for gold in the Pacific region. That being the case, new variants of the game like Texas Hold’em was easy enough for the Kiwis to learn and to develop a passion for. Gambling in New Zealand is governed by the Department of Internal Affairs. And as much as they are liberal in their regulations, operators are not allowed to promote gambling to the citizens, unless it is the authorized lotteries conducted in the country. The Department of Internal Affairs maintains strict guidelines for the four allowed classes of gambling. Class 1 gambling is conducted by individuals and restricts prize or turnover greater than $500. The organizer can not be paid to run the event, and all staked money is to be paid to contestants. Class 2 gambling is conducted by societies, but does not require a license. It concerns prize pools with a total value between $500 and $5,000. To set up a society in New Zealand, you will need at least 15 starting members, a set of rules, and to pay a setup fee of around NZ$100. Class 3 and 4 is conducted by licensed institutions and must have prizes with a total value exceeding $5,000. Besides casino gaming, people are allowed to bet on Horse Races, Lotteries and “Pokies” (slot machines). A large portion of profits generated by these activities is supposed to be returned to the community. 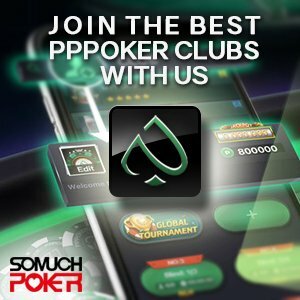 Although poker can be found in all the casinos, it is being offered more regularly and consistently in Christchurch Casino and Skycity Auckland. There are a total of six casinos in the country –Christchurch Casino, Skycity Auckland, Dunedin Casino, Skycity Hamilton, Skycity Queenstown, Skycity Wharf Casino. However, the most notable of the six would be the first two casinos on the list. Players need to be over 20 years old to be allowed to enter the gaming area of the facilities. 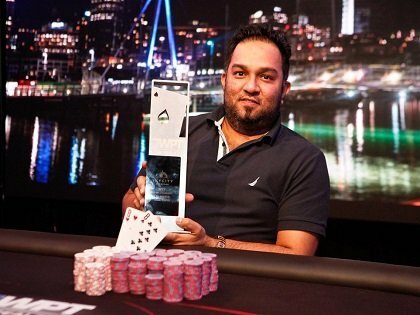 The biggest local poker tournament in New Zealand is the New Zealand Poker Championship (NZPC) and has a buy in of NZ$1650 with a field of 80 players. First casino in New Zealand, it is located in the entertainment district of Christchurch city. It welcomes the annual Wellington Poker Championship. One of the most charming Kiwi Casinos. Located in the Southern Cross Hotel, Dunedin Casino offers Hold’em, Omaha, and Caribbean Stud poker games. Located at the base of the most recognizable landmark of the kiwi capital, the SkyTower, the Skycity Auckland Casino is the 2nd casino in New Zealand. Gambling through any communication device is illegal in New Zealand, i.e. online gambling and online poker. But New Zealand’s Gambling Act 2003 only prohibits online gambling from operators based in New Zealand. It is, therefore, not illegal for anyone to play in online sites that are based offshore. However, although it is not illegal to play in offshore casino operators or poker sites, it is considered an offense in New Zealand for these offshore sites to blatantly advertise and promote gaming in the country. Gambling Amendment No.2 in 2007 reinforced the 2003 law and brought additional accountability to owners and gambling operators to ensure that operators are part of a clean well-run sector. It should be noted that as long as poker is not regarded as a main source of income, Kiwi poker players do not have to pay taxes on their winnings. Living in New Zealand offers great opportunities in terms of banking options. Credit/debit card, and eWallet options like MoneyBookers & Ukash are widely accepted by international poker websites for Kiwi players. Learn everything about playing Live and Online Poker in New Zealand: history and legal environment + tips on the Best Websites and Poker Rooms / Casinos.